Arab women's Delegation to the High Commissioner. 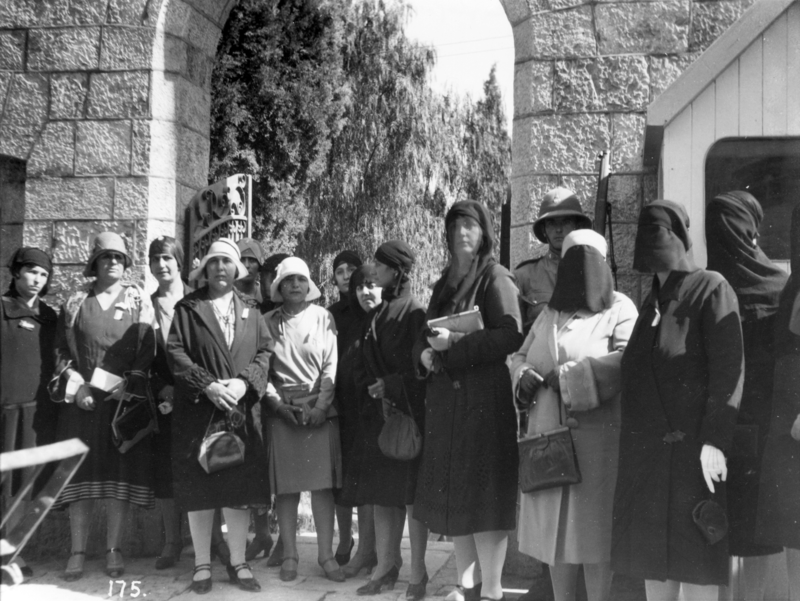 Taken at the entrance of Residency Demonstrations against British Policy in Palestine. Mrs. Tarab Abd al-Hadi is fifth from right.